Sometimes you need to get your car towed a short distance, and sometimes you need to get it towed a long distance. For example, if you’re moving to another state and you don’t have another driver with you, how do you get multiple vehicles to where you need to go? That’s where you call in a professional licensed long distance towing service like J Towing Services. Our reliable company provides local and long distance towing in San Jose, and we love working with the local residents. But if you’ve decided you no longer want to be a local or if you need long distance help, we’re still glad to help you out! When you’ve got a vehicle that needs to be transported, safety is a high priority. J Towing Services and its network of independently owned and licensed affiliates have plenty of experience with towing vehicles long distance in the safest way possible. We employ high quality industrial equipment to accomplish the task, and we offer a variety of industrial trucks and carriers. For example, for long distance towing we use flatbed tow trucks, drop trailers, deck trailers, open or closed car carriers, and more. Particularly when going a long distance, we strive to ensure that your car doesn’t see extra wear and tear on it because of the travel. While we at J Towing Services are proud to offer long distance towing services, there are also a number of other services we provide. 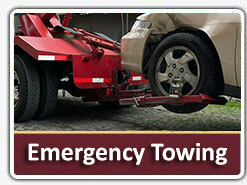 We can offer you light duty towing, heavy duty towing, luxury vehicle towing, motorcycle towing, and roadside assistance. 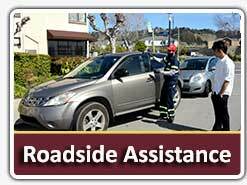 Roadside assistance is really important because a lot of the time, car owners call for a tow job only because something has temporarily gotten in their way. We can come fix a flat tire, bring you gas to refill your car, or fix another small problem with your car on the spot so that you can get on your way without further delay. 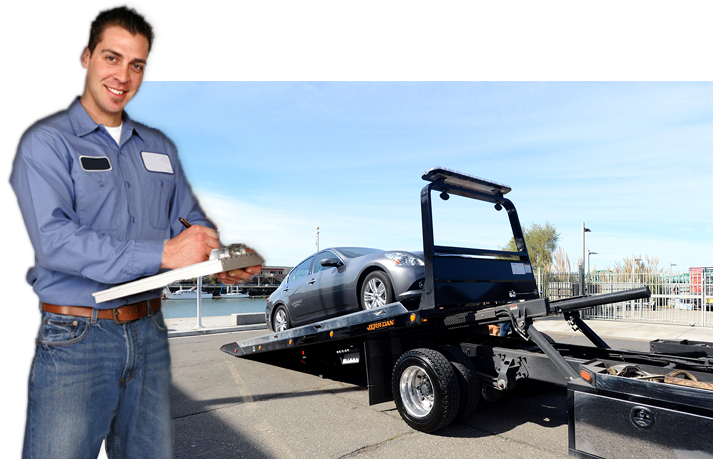 J Towing Services is about more than just providing San Jose long distance towing and other towing services. It’s about providing the kind of service that our customers want. Thus, we make every effort to work WITH you, not against you. 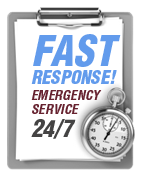 This includes completely honest pricing, 24/7 availability, fast response time, and answers to all your questions. We’re here to help you whenever you need it at J Towing Services.